Google Update Reverting, Starting? What Is Going On? 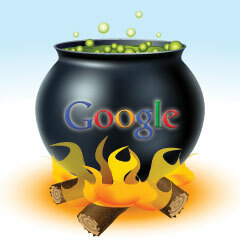 Home > Google News > Google Updates > Google Algorithm Chatter Heating Up, Shifts Happening? Google Algorithm Chatter Heating Up, Shifts Happening? Yesterday I reported how there was some weekend chatter about Google fluctuations. Well that has really started to pick up as of last night. Many more webmasters are noticing lots of changes, some saying reversals, to whatever was happening most recently with Google's search results listing. I am seeing HUGE shifts across all verticals. Never seen anything like this before... I do hope G is broken. Maybe it was just a hiccup but maybe something bigger?